Even though your main passion is not physics, you must have heard about the faraday cage. It’s one of the most spectacular applications of physics in real life and you can actually build one in your own back yard. If you want to learn how to build a faraday cage, stick with us for the following pages and see how easy it is! Before diving in the most amazing and interesting DIY project you ever heard of, we should talk a bit about the inventor: Michael Faraday. He was a British scientist who changed the fields of electromagnetism and electrochemistry. Actually, we have to thank him for the world we live in and future technological discoveries and inventions. His work on magnetic fields led to the invention of electromagnetic rotary devices which led to the electric motor and use of electricity as main power source for today’s technology. Think how our world would look like today, if we couldn’t use electricity to power our devices. Many of the technological breakthroughs would not exist or they might have another shape and functionality. He was a gifted man with a humongous thirst for knowledge and we have to thank him for that. There are only a handful of people in this world with such an impressive portfolio. He sits in the heavyweight arena of scientists next to Einstein and Tesla. Now that we’ve talked a bit about the inventor, let’s spend more time on the invention and see what a faraday cage actually is. If we try and figure it out by name, we have a cage that was built by someone named Faraday, which is pretty accurate. The cage can take many shapes but the principle is simple: it distributes an electric charge around its exterior, without letting it inside. The cage exterior acts like a conductor, allowing the electrical charge to flow through while the inside is protected. The wonderfulness of Faraday’s discovery is that the cage’s interior is also shielded by electromagnetic fields and microwaves. 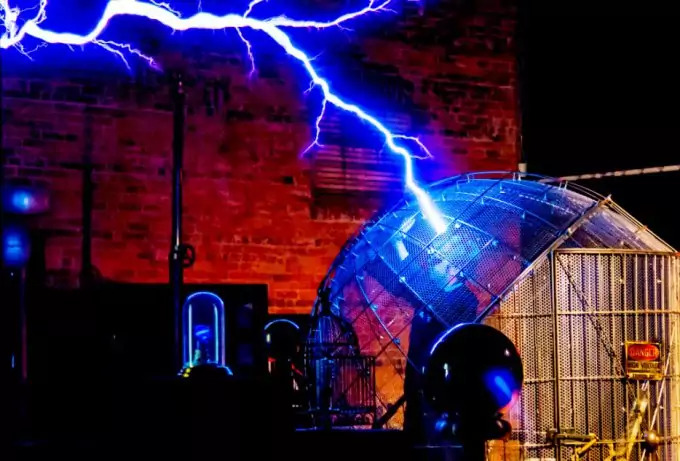 For example, thanks to Faraday and his cage we now know how to protect electric appliances from lightning and electrical discharges by letting the extra energy flow on the exterior and keeping the sensible interior mechanisms safe. Another useful application is in aviation. Planes go through storms and sometimes (pretty often actually) get struck by lightning. If there were no shielding to protect the passengers and all those delicate systems, no one would risk flying. The car we drive each day is a Faraday cage protecting us from lightning when we have to go through a storm. Microwave ovens are a sort of reversed faraday cages, as they trap the microwave energy inside and use it to cook (or heat) the food. Shielded cables use the faraday cage effect to maintain the signals they carry pure. For example, your TV signal goes through a shielded cable in order to deliver a clear image on your device. If there were no shielding, the signal in the TV cable would be mixed with other signals that are diffused in the environment surrounding the cable. Telecommunication systems of vital importance are kept safe from electrical charges using faraday cages. Hospitals have their own faraday rooms: the MRI rooms where they need to isolate any external electric disturbances in order to get a clear picture. Important state and business affairs are discussed in faraday rooms where no eavesdropping device works. All modern military weapons are based on communication but this makes them extremely vulnerable to EMP (electromagnetic pulse) attacks (natural or artificial). 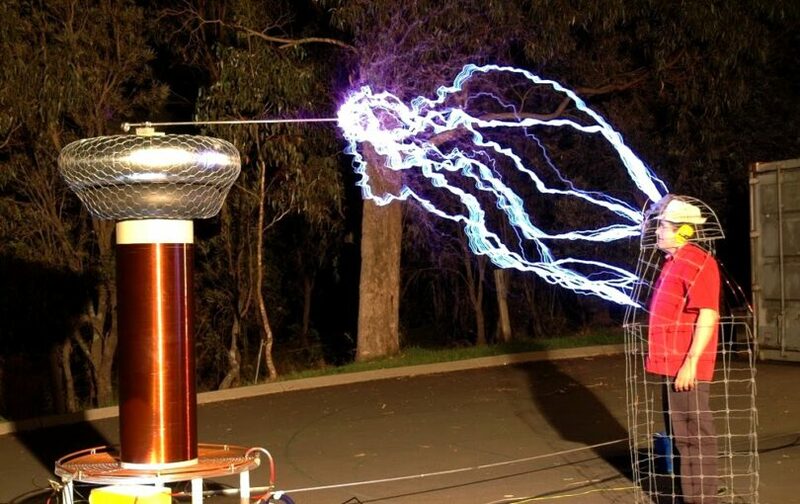 A faraday cage will protect everything inside from an EMP. An EMP or an electromagnetic pulse is a natural or artificial event that could send us all back to the Stone Age in just a few seconds. These events can happen naturally (when we get a flare from the Sun due to solar explosions) or manmade (terrorist attack). An EMP is dangerous because it unleashes a huge quantity of gamma rays in the atmosphere. These gamma rays come to Earth from the Sun every second, but our atmosphere manages to protect us from them. If the quantity of gamma rays increases suddenly, the EMP is produced. The electromagnetic pulse will be dispersed in the air, with the speed of light, frying any electronic device in its way. Power lines, phone towers, microwaves, hairdryers, radios, TVs, everything that operates on electric power will be destroyed. You can read more about EMPs and how to protect yourself against them in our article how to protect against EMP. That’s why Faraday’s invention is so important: electronics will be protected in a faraday cage in case of an electromagnetic pulse. Given the fact that they are easy to build and you don’t need expensive materials, you should start thinking how to protect your valuable electronics. It may seem a like a small paranoia crisis, as there were no such attacks but you never know. People in Nagasaki had no idea how to react in case of a nuclear attack and they paid with their lives for this (check this article if you want to know more about nuclear attacks). 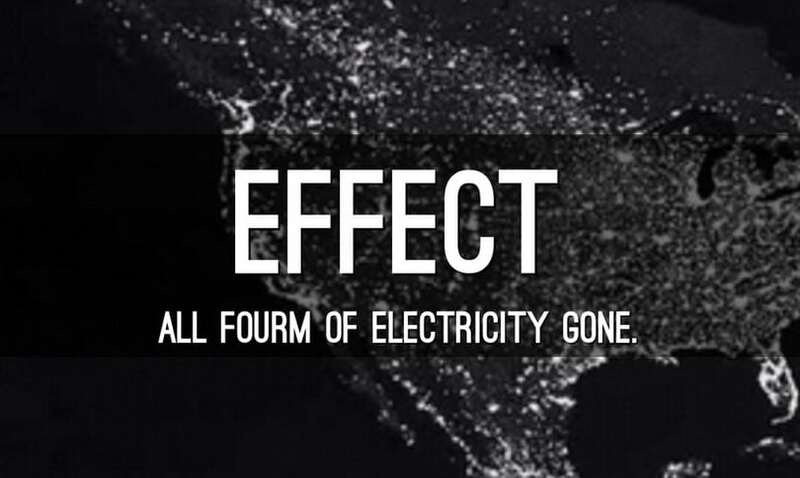 Only imagine the chaos an EMP would create, especially now when we base our lives on technology. Electric cars would stop working (even when they are in motion), pacemakers would stop, endangering patient’s lives, no communications would be available, and so on. If you have your electronics, safe you will be able to communicate with governmental departments (military also uses faraday cages to protect their assets) and get valuable information in time. You don’t have to be a rocket scientist in physics in order to make a DIY faraday cage project with your family or friends. You just need to understand a few basic principles and apply them correctly. Now, it’s time to actually learn how to construct a faraday cage using materials you already have in our home. The shape. The cage can have any shape you like: spherical, triangular, oddly shaped, and so on. If you decide to go with the classic rectangular shape that’s just as fine, as long as you know that the shape doesn’t affect the cage’s effectiveness. The conductor material. You must choose the material you want to put on the outside of the cage. This should be a simple decision as the material doesn’t influence the cage’s activity (as long as it is capable to conduct electricity). Sheets of heavy duty aluminum are the cheapest materials for an efficient DIY faraday cage. Holes or no holes. A faraday cage can have holes in its walls as long as they are not too big to let the electromagnetic wave in. That’s why you can use an aluminum mesh as the outer layer of the cage. 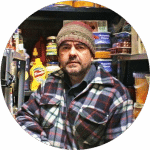 You can also use metal containers like metal garbage bins or galvanized cans. Take extra attention with the door when using a mesh because there will be leakage. The door area needs extra isolation for the cage to work. Should I ground the cage? It is not a request but it is a strong recommendation. In case something goes wrong the cage could become electrified and it can electrocute anyone touching it. If it’s grounded you add an extra layer of security. Moisture absorbent to create a safe and moisture free environment for the devices inside the cage. They won’t do you any good if they survive an EMP but they are broken because of the excessive humidity. Desiccant Packs of 50g should be enough. Start by wrapping everything you want to put in the cage in a heavy duty aluminum foil. You can add a piece of clothing before putting on the foil if the object you’re wrapping has sharp corners. This way you prevent any holes in the foil. Make sure you put 3 layers of aluminum on each item; this is the ideal thickness. Take the container you are using as the walls of the faraday cage and add a protection layer on the inside. 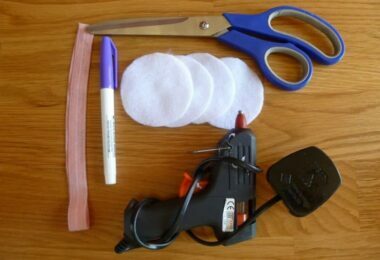 Here you can use a foam cushion or simply a cut up cardboard box. The cushion will be a better protective layer but if you’re not going to bang the cage to the walls, you should be fine with the cardboard box too. Make sure that you add this interior layer on the walls, on the bottom and on the top. The items inside can’t touch the walls of the container, especially if you’re using a galvanized trash can. Add the moisture absorbent and the items you want to protect inside the container. Seal the lid on and add an extra layer of aluminum tape on top. The layer of tape is just to make sure that the seal is made and there are no intrusions between the metal contacts. For the cage to work, this seal must be perfect. Now, you have your own homemade faraday cage ready to protect your electronic devices from and EMP. You can’t produce an EMP to test the faraday cage you just built, but there are other ways to see if it really works. Put inside your phone set on very loud and an AM/FM radio while it still transmits. Before securing the lid in place you will still be able to hear the radio’s signal from inside the container. After everything is sealed up, the radio should lose signal and if you try to call your phone it shouldn’t be available. If this happens, it means you did a great job and your faraday cage is safe to use. If you can still hear the radio and your phone rings while inside the sealed cage, look for holes in the container or in the aluminum foil used to wrap the items. Now that we know how to protect our electronics it’s time to learn a few hacks on how to do the cage with materials at our disposal; for example, how to eliminate the moisture without Desiccant Packs. 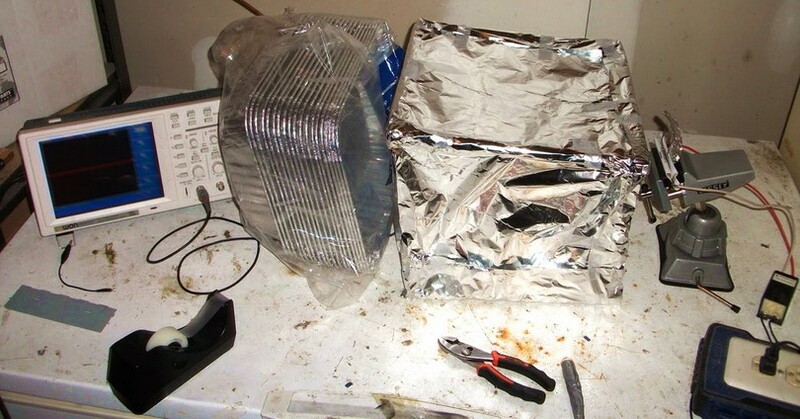 In case you didn’t get the chance to make a faraday cage and stash everything you want safe inside, there is an emergency solution: your microwave. Microwave ovens are little faraday cages in reverse, meaning they keep the energy inside to cook the food. If the microwaves would get out, you will get your eyes fried up as you watch the food rotating inside. 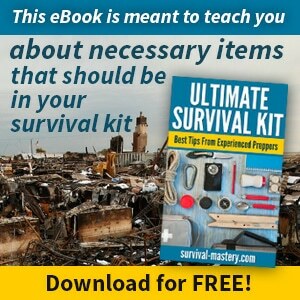 If the EMP is coming and you are not prepared, put your small electronics inside the microwave. It will act as a miniature faraday cage and protect everything inside. First, you have to consider the size of the cage. You can’t fit a big screen TV in a small garbage can, can you? After all, a big screen TV won’t save your life after and EMP, there will be no television or Internet and it will be just a cold piece of furniture and a memory of what it used to be. A radiation detector that will be very useful to check the radiation level after the EMP. The list can go on according to how much space you’ve got. You can always make more than one faraday cage in order to store everything you need. 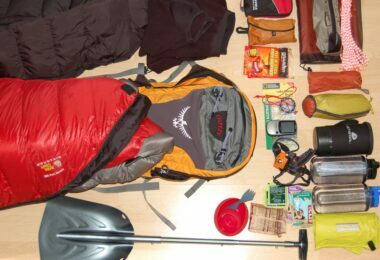 Anyways, the idea is to store important equipment that may help you through a difficult situation. If you make more than one faraday cage you should label them so you know what’s inside without opening the cages. Now you are ready for a very ugly scenario – in theory. No one actually got to test one of these homemade faraday cages against an electromagnetic pulse attack (artificial or natural). And the hope is that we never get to do that. Still, it’s better to be prepared, just in case. Do you really want to save your devices? Well, in the end, the main conclusion is that the world as we know it is very fragile and can be destroyed in a matter of seconds. We don’t even realize how much we depend on small electronic devices like tablets, laptops, GPS system, radios and others. It’s like all these were on Earth for thousands of years and nothing can make them disappear. Many people live in some sort of a bubble, not worrying about what could happen and how they would react in a dangerous situation. It’s time that we leave our bubble and start preparations for different scenarios. If there would be an EMP attack tomorrow half of the population would have no idea what to expect. Imagine how easy the world could be taken over (we saw that in so many movies) by a group of terrorists destroying our communication systems, power lines and finances. Each one of those systems operates based on electric power which makes them extremely vulnerable to attacks. We would be in the dark and by the time we manage to realize what’s happened the world’s balance of power has shifted. It’s a very dark scenario and we hope it never happens but the question remains: what if? 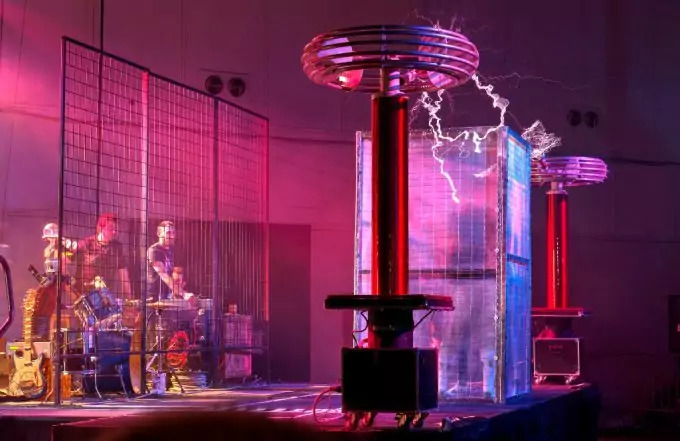 A homemade faraday cage could be the last wall standing between you and chaos. 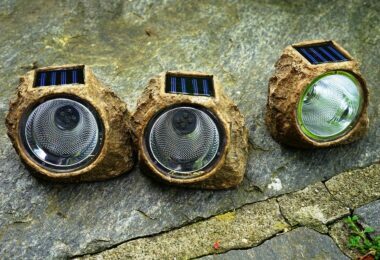 Why not build it, given the fact that it’s a really simple and fun DIY project?